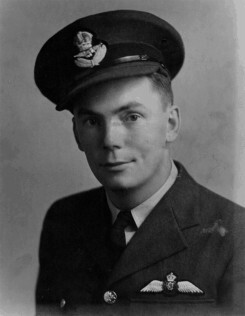 Gordon Martin served from 1941-45. He was the son of Sarah Barrons and Archie Martin of west half Lot 25 Concession 8, East Nissouri Township, Oxford County, Ontario. He was stationed in Aylmer, Fingal, and Yarmouth, Nova Scotia. He flew Harvards, Swordfish, and Hansons. One of the Harvards (tail #3991) that he flew was purchased from Texas and is now part of the Harvard Heritage Collection based in Hamilton.